Feel free to read more reviews at TheKnot.com/WeddingChannel.com or WeddingWire.com If you are one of my Happy Couples, you can leave a review at TheKnot.com/Wedding Channel.com or WeddingWire.com! 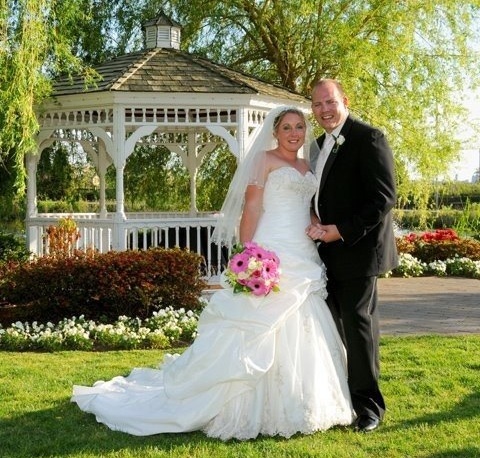 Brides, grooms, parents and guest reviews welcome! 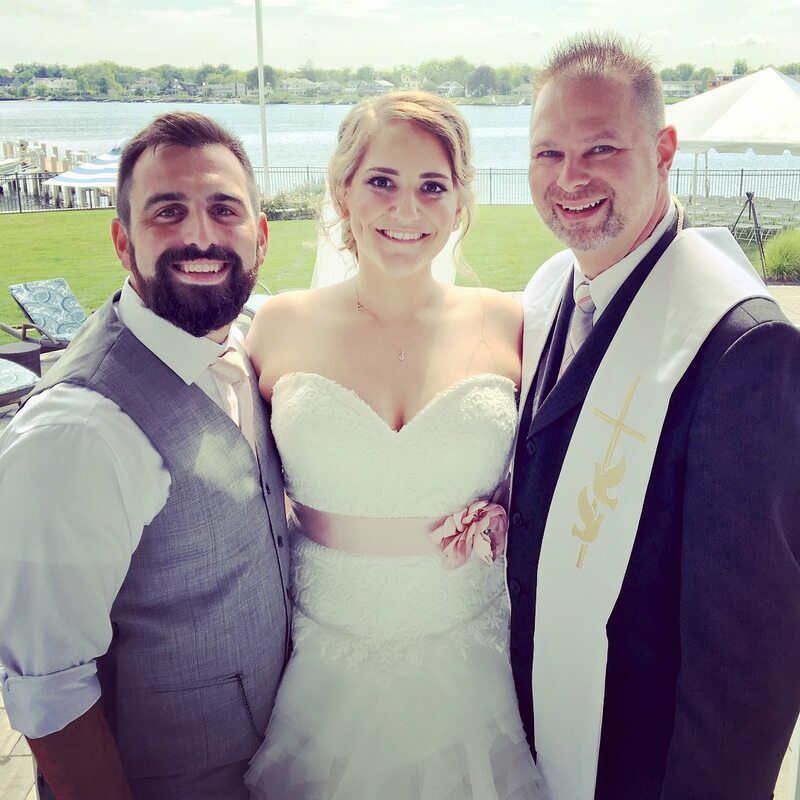 “From the moment I spoke with Brian over the phone, then sat down for lunch to discuss our details, to going through the rehearsal moments before the ceremony (because my wife and I were extremely busy right up until the wedding day) and even at the reception he was an extremely kind, friendly, professional and intelligent person. I literally felt like I was talking to a long time friend. Some people just really have great energy. 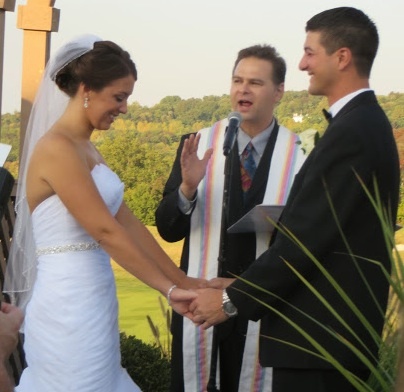 He made suggestions to us about many different things that we could incorporate into our vows and into our ceremony in general. The entire time he made us both feel completely comfortable and put no pressure on us whatsoever. Everything went so smooth and perfect. We took his suggestion and did a sand ceremony after our ring exchange. It is something that we will look back on with love forever. 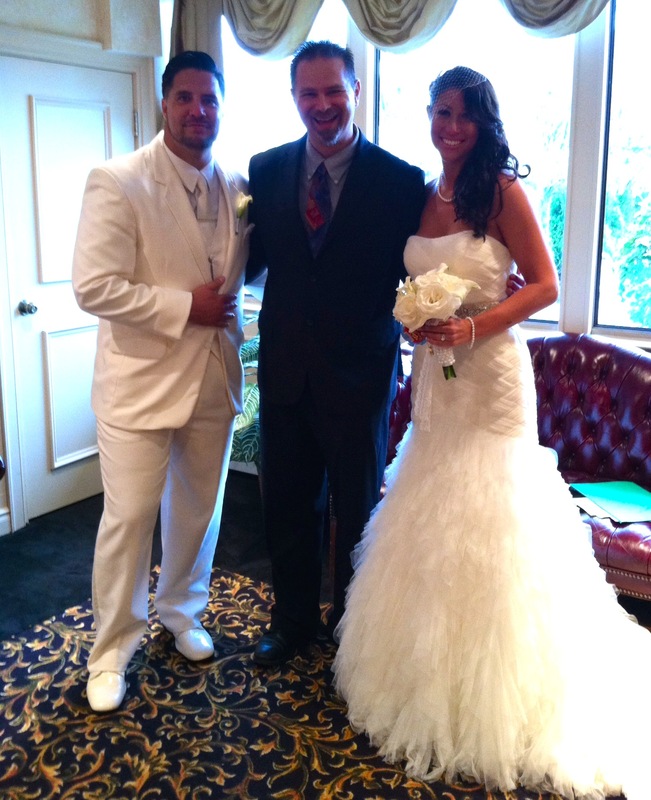 His readings and words at the ceremony were very touching and were loved my all of our guests. 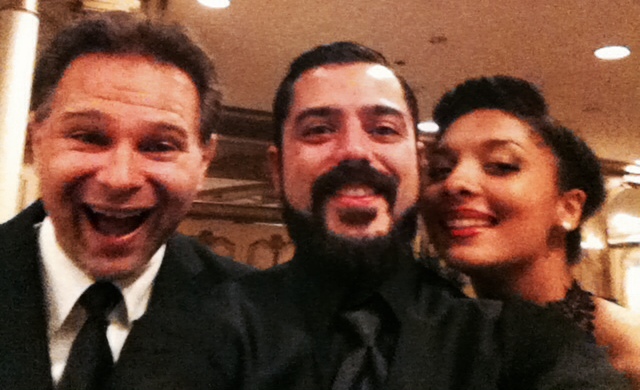 We had invited Brian to join the reception, and he was able to stay and enjoy it with us. I put him at the 1st table with my Family and close friends. He was a big hit with my family and all the rest of our guests. We are really happy he was able to stay. Now get this…. The next day, my wife and I and a few of our friends were out to lunch and it turns out Brian was sitting 2 tables away having lunch. Not only did we get the best treatment and service at our wedding but we also made a new friend. 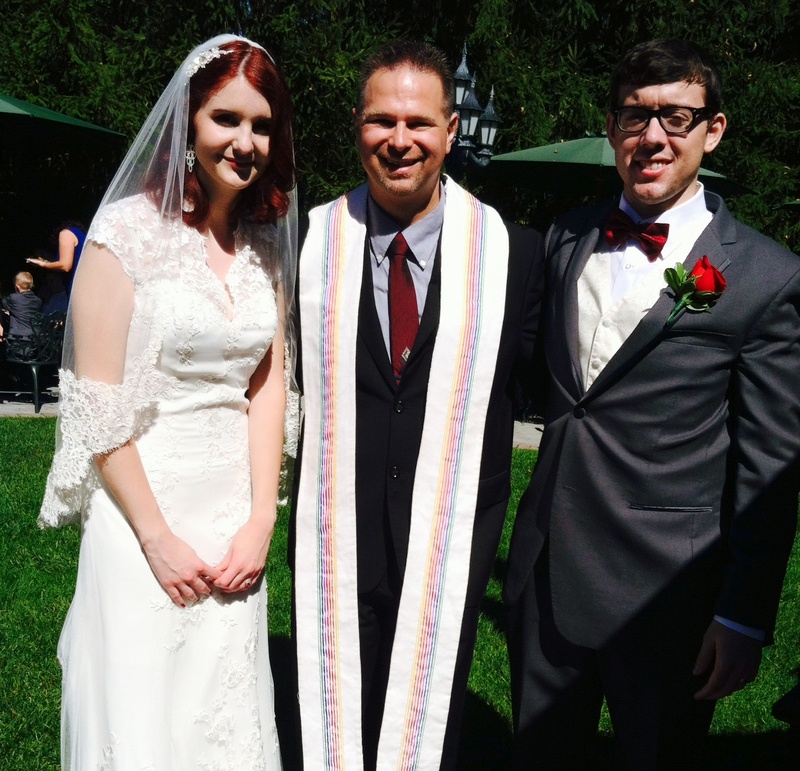 “We had our wedding on September 27th and Brian was our officiant. 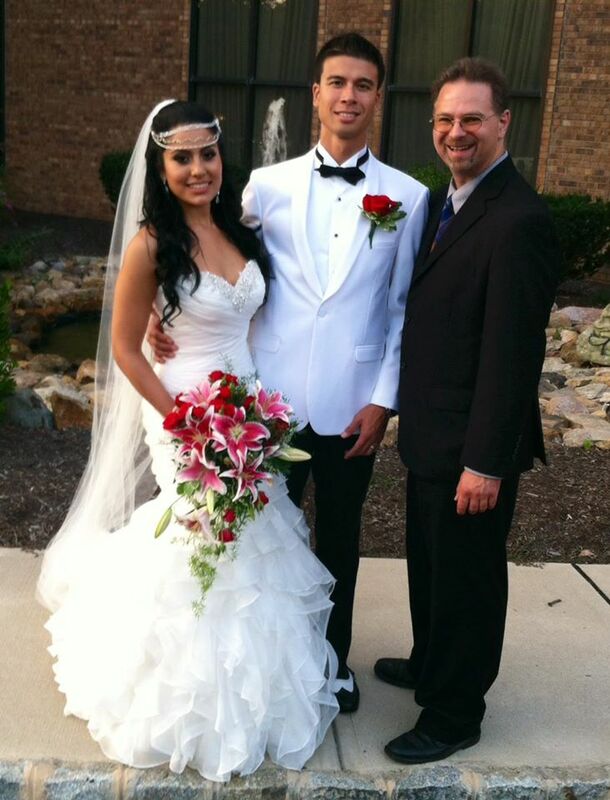 He was very kind throughout the whole process and very open to tailoring the ceremony with personal touches. He responded to emails and calls very quickly and was always open to answering questions. “If you want someone who is going to make your ceremony personal, heartfelt and anything you imagine, this is the man for the job. He made it very easy and always had an open line of communication with me throughout the process of creating our ceremony. 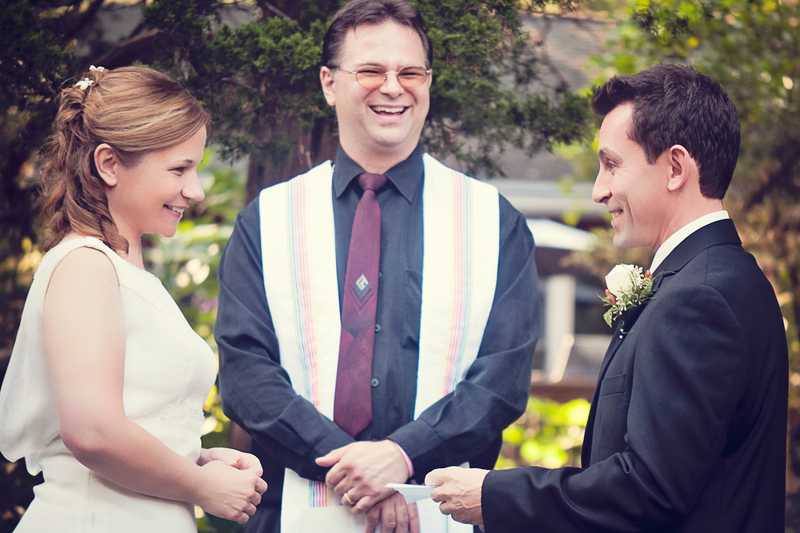 He is fun, and WILL NOT push you to put anything in your ceremony that might not reflect you and your future spouse like other officiants I had encountered. I would wholeheartedly recommend Rev. Brian Jude to anyone who is looking to have a ceremony that is special to them and memorable to your guests. Thank you so much for making our wedding beautiful! 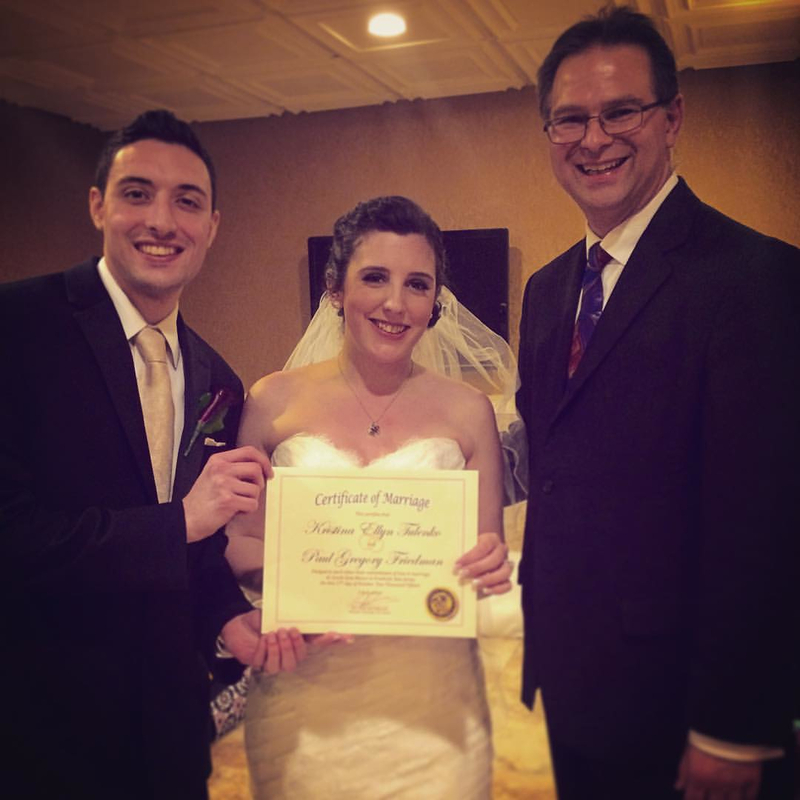 “I found Brian on TheKnot after not feeling comfortable with the first officiant we had met in person (that we found on another site). After reading his reviews and speaking with him over the phone, I immediately felt more comfortable with him. We had met with Brian in person convenient for both of us and we knew right away he was our guy due to his experience, personality, and overall genuine care we felt for us. All in all the outcome was phenomenal and my wife and I have no regrets choosing Brian. I also found his voice very soothing which is another reason why I went with him. 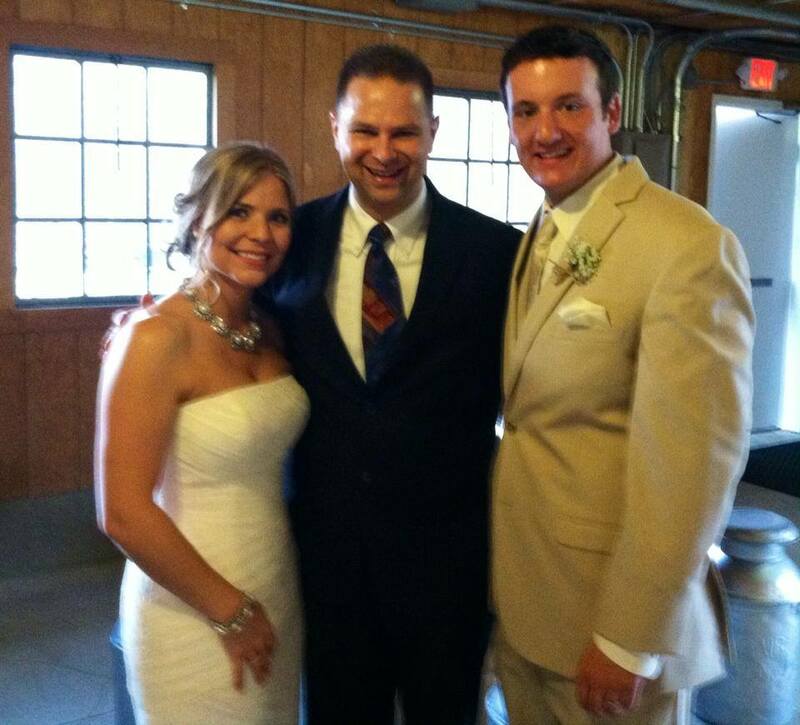 He’s a great guy and again felt the love and care in his approach and delivery of the ceremony. Hence why we invited him in for cocktail hour and reception, haha. “WOW where to begin, Rev. 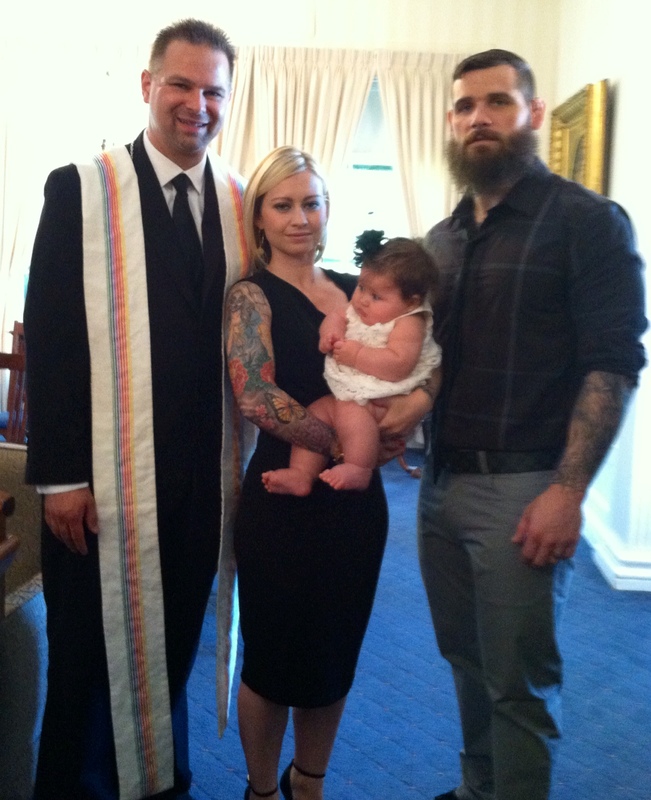 Brian came to the rescue when another minister refused to marry us when we showed up for our ceremony. We’re a gay couple, a couple just like anyone else. Rev. 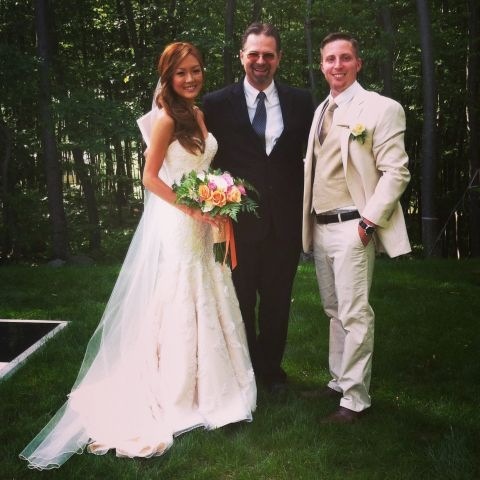 Brian responded on a moments notice and performed the ceremony we wanted all 100% our style. Rev. Brian made us feel like we were like anyone else saying their vows. 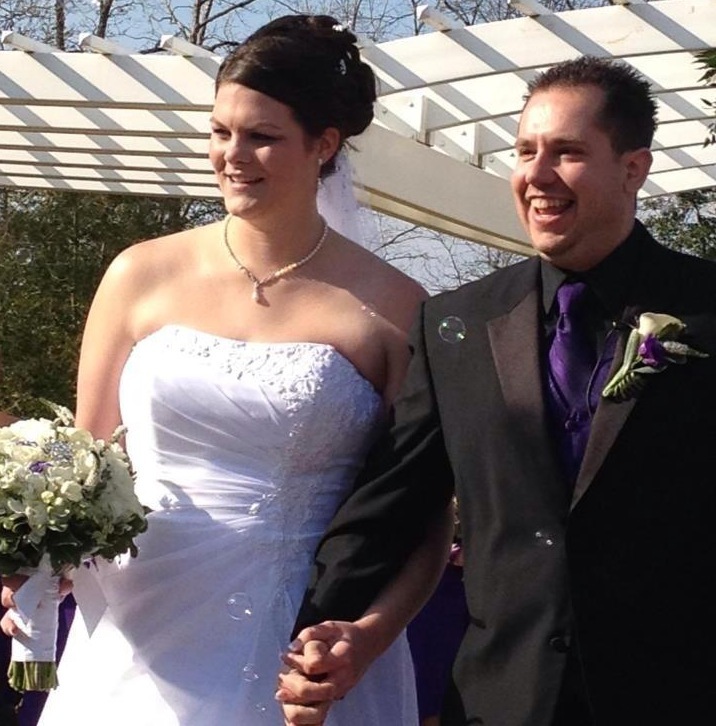 He turned our wedding day into a stress free and most wonderful day for us to always remember. “Rev. 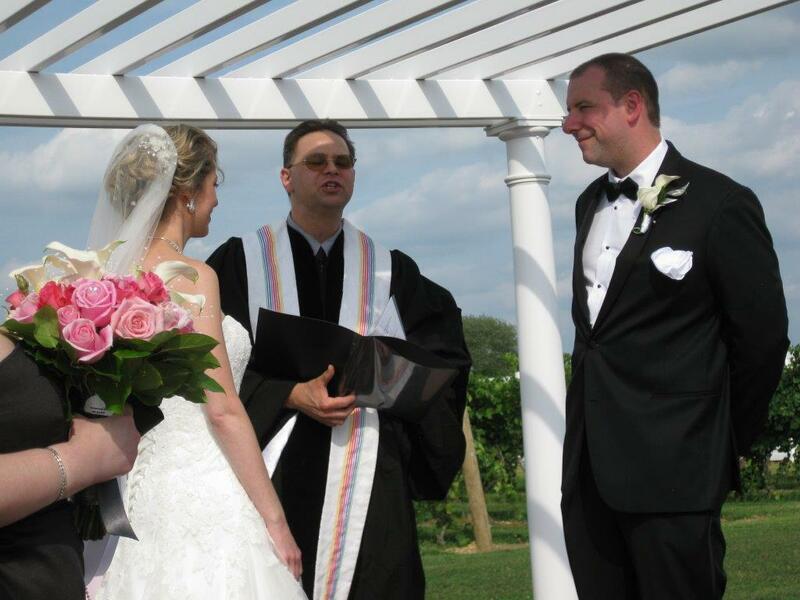 Brian Jude Piatkowski from All-Faith Wedding Minister was a great officiant!! Understanding and respectful! I would recommend to anyone! He helped us put or ceremony together as we wanted. The samples on his site were extremely helpful and led us to the right direction. 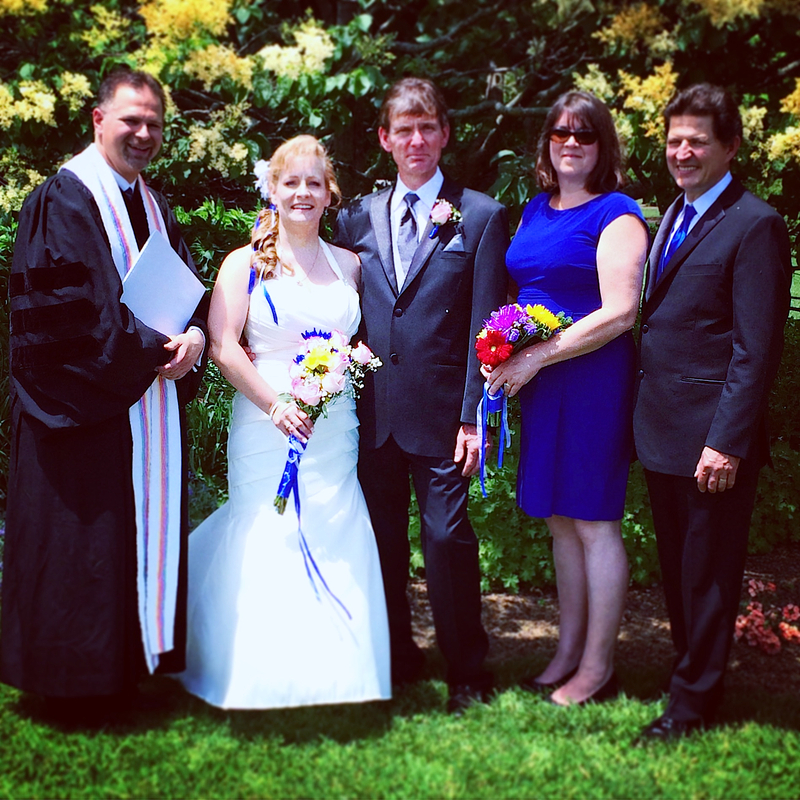 “Brian was the officiant at our wedding on June 7, 2014. We were very pleased with his services as he was prompt, helpful and provided a ceremony that was respectful, thoughtful and maintained a flow that was delightful. 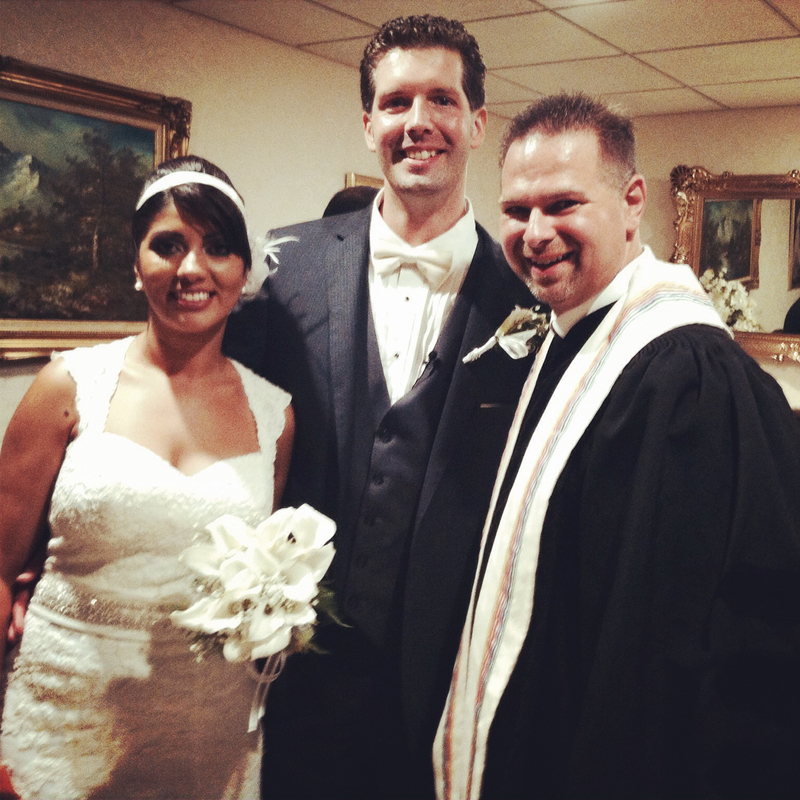 Our guests stated that it was one of the best ceremonies that they have witnessed. 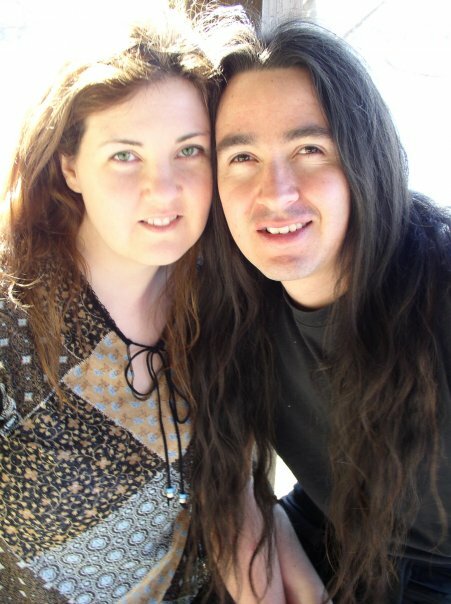 Just wanted to send you a quick note to say thank you for officiating our wedding on September 21st. Your guidance, support, and your getting to really know about the story of us helped make the ceremony both meaningful & memorable to both Tom and I and to our families and friends. They loved your humor on our meeting on Match.com. With every element we were looking to incorporate, whether it was incorporating our girls into the ceremony or allowing my brother to walk me half way down the isle so my not so well dad could still present his daughter over to the groom, you had a plan and for that we are grateful. 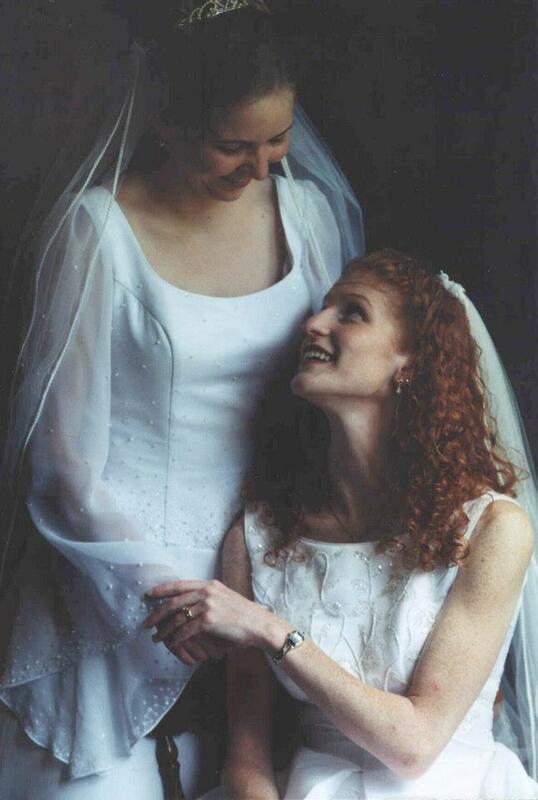 Our wedding day was filled with love, joy and happiness thanks to you. This was Tom and I biggest wish. 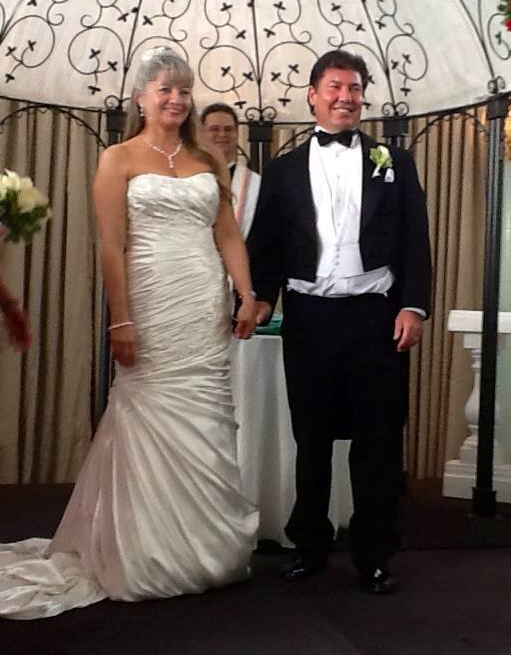 Some of our guests are still telling us it was the best and most personal wedding ceremony they’ve ever attended. We will definitely be recommending your services to any one in need. PS Boy were you spot on regarding the need for a rehearsal who knew it would be such a challenge to get such a small group of people to “focus”??? “Reverend Brian was such a delight. 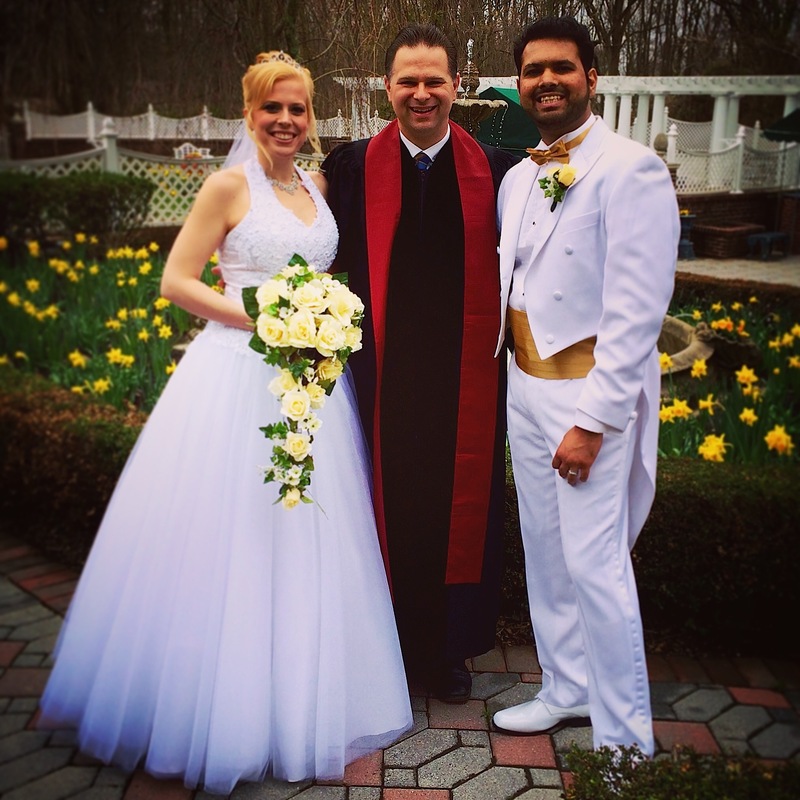 We were introduced to him through our day-of planner and boy were we glad to have met and used him for our wedding. 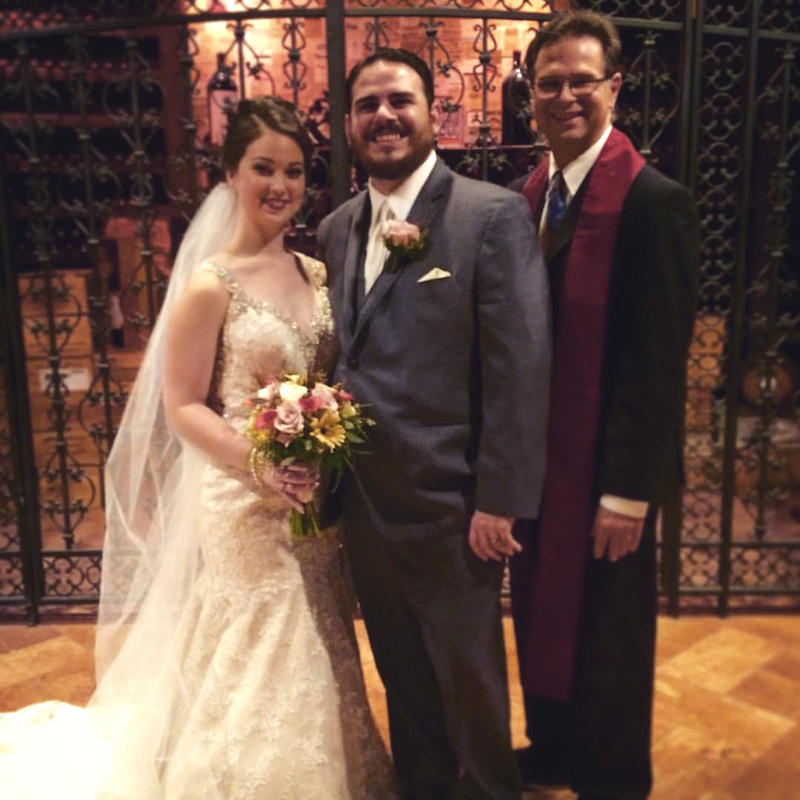 He is spiritual and a beautiful soul who gets into building the vows with the bride and groom to make the ceremony doubly meaningful. We were so glad for his professionalism but also his fun side as he spent the whole night with us dancing and dining as well. He was a blessing to meet and work with. A wonderful human being with a lot of heart and soul. “We had first met Rev. 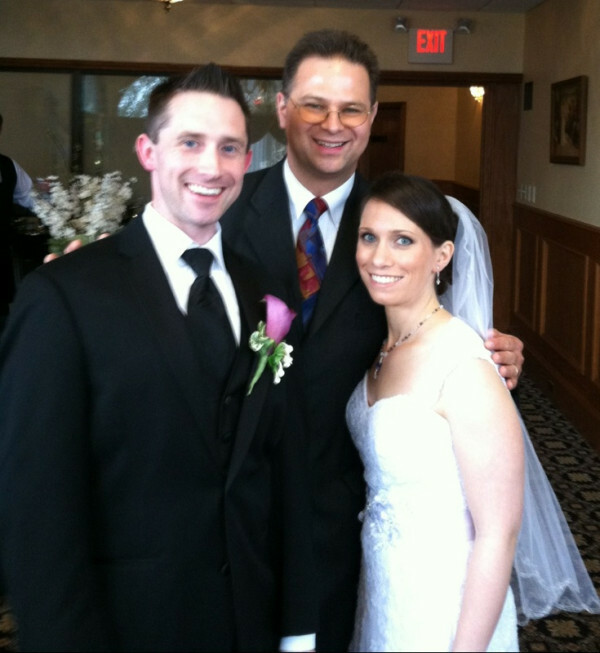 Brian at our friend’s wedding and remembered what a great impression he made at that event; so we contacted him when we were planning my daughter’s wedding. 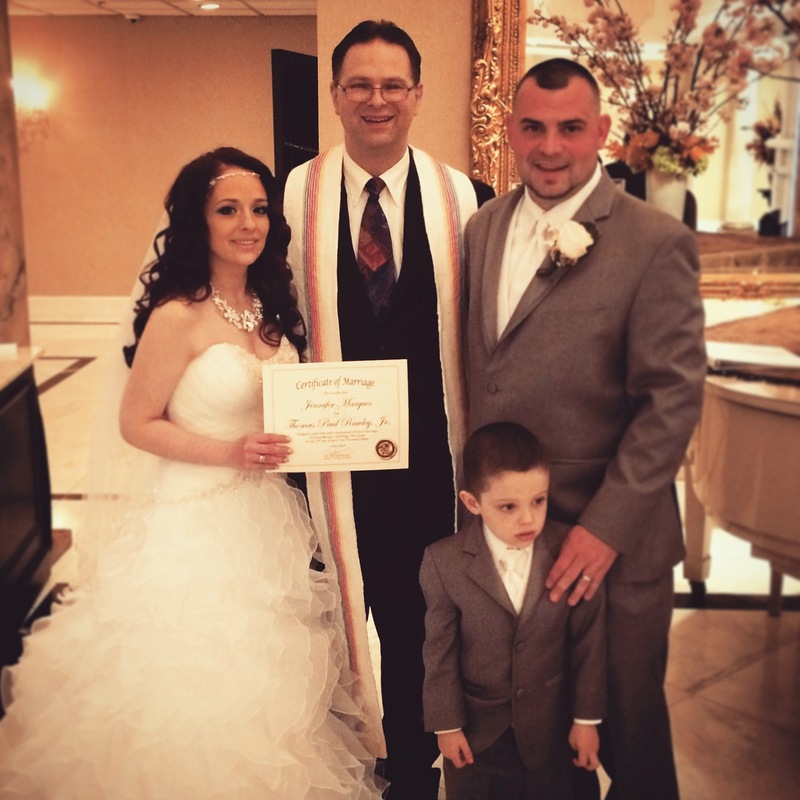 Through out the entire planning stage, Brian kept in contact and in spite of great distance, traveled to South Jersey from Passaic to meet with us personally. His style, grace, knowledge, personal delivery and sincere interest in the wedding participants made for a perfect wedding ceremony. He is unflappable! The brisk breeze did its best to ruffle his sermon but he was so organized and focused that nothing could make him loose his frame of thought. We incorporated a Sand Ceremony during the wedding and Rev. 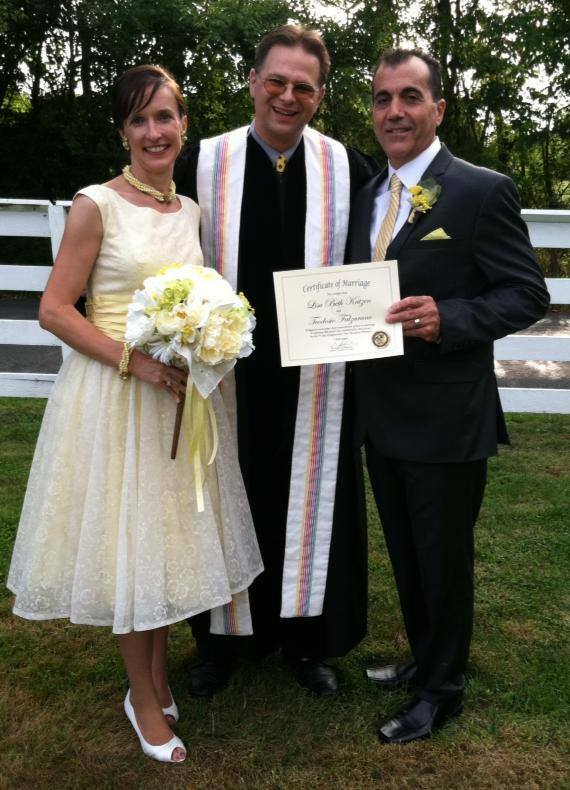 Brian made it more special than we had hoped.We received many compliments on our choice of religious officiant and look forward to using Rev. Brian’s wonderful talents again in the future. “Simply said Brian was amazing! 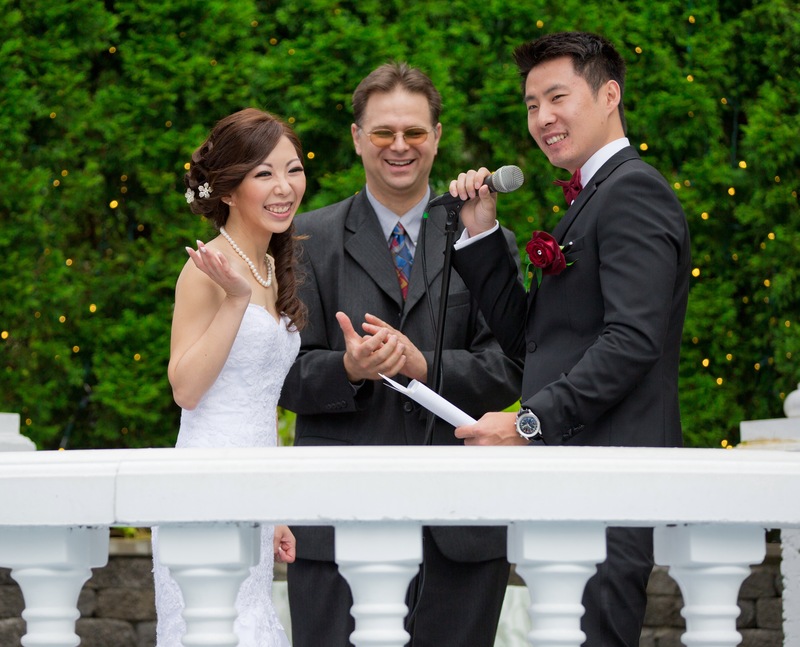 He worked within our budget to give us the wedding ceremony we thought we could not afford. Brian spoke with us via Skype since we lived out of NJ and got to know us and our story. 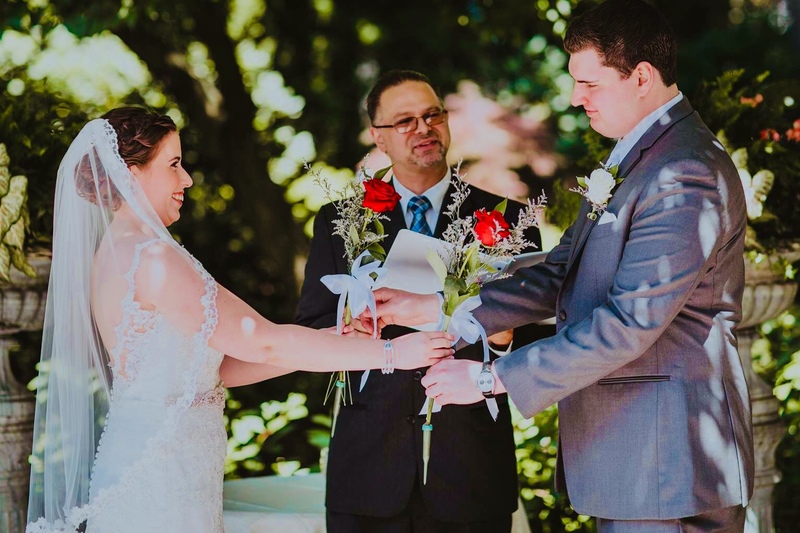 He tailored the whole ceremony around us and incorporated both Jewish and Christian rituals, making it an absolutely beautiful interfaith ceremony! Brian also saved my ceremony when the fire alarm went off not only once but SEVEN times! 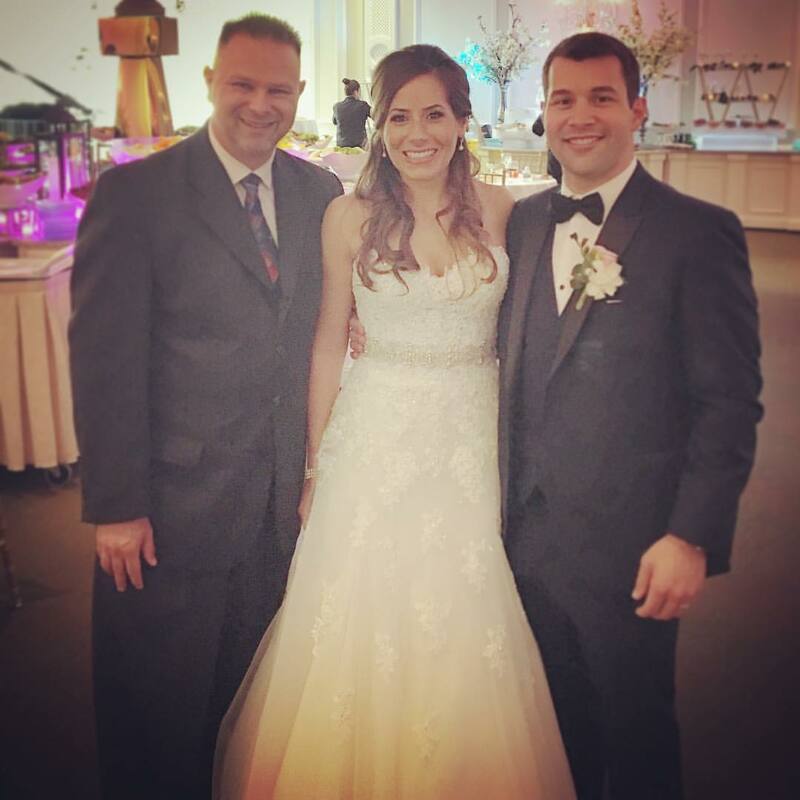 We have received so many compliments not only on the ceremony but on Brian himself, he was such an easy outgoing person who left a great impression with everyone! “Rev. 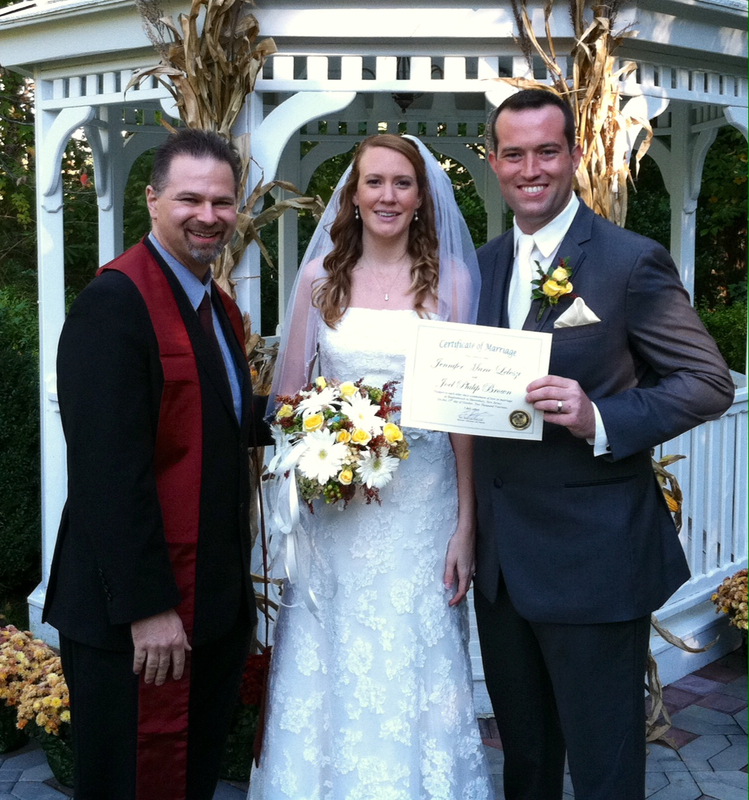 Brian performed our ceremony with only two weeks notice. He was a life saver when our originally scheduled minister cancelled. In that short time he was able to create a ceremony that was personal and really gave everyone a feel for who we were. He made an amazing day ten times better. You will not be disappointed if you have him perform your ceremony. 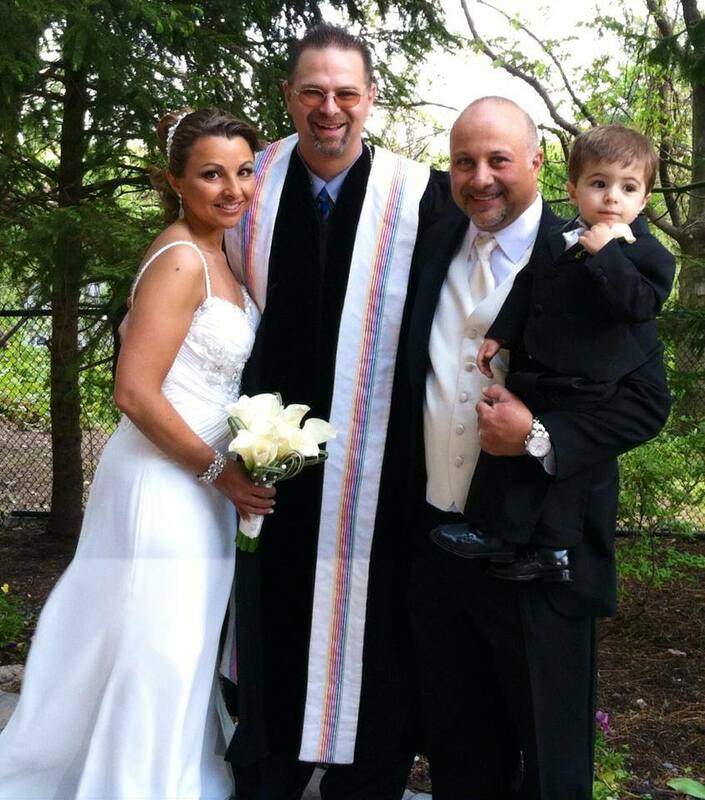 “We got married on June 2013 in Voorhees, NJ. 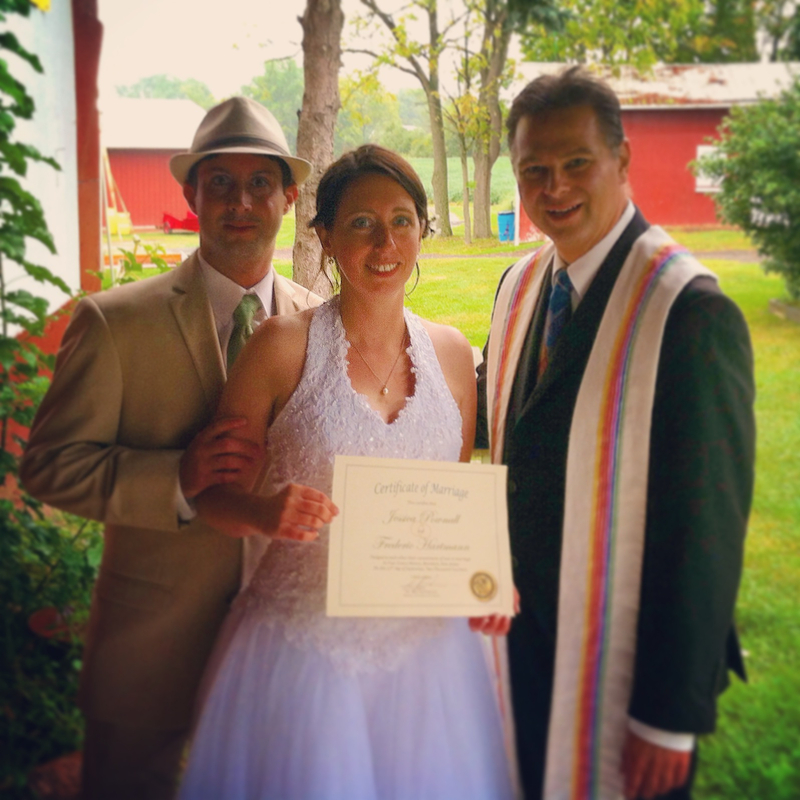 As an interfaith couple (Jewish-Christian), Reverend Brian made our wedding so special and unique. We enjoyed the ceremony and he exceeded our expectations. “We discovered Rev. Brian while looking online for interfaith options for our ceremony. I am so happy we found his information, because he was absolutely fabulous to work with from our very first email exchange. As my husband and I do not currently live in NJ, Rev. Brian was flexible enough to meet us in person at a diner during one of our trips to NJ. All other correspondence was done via email (and even a g-chat session when I was in desperate need of some advice). Rev. Brian was very personable and reassuring during our first meeting. Telling us about his own background and how it was very similar to ours helped put our nerves about keeping both sides of the family happy at ease. Rev. Brian provided us with samples of his own wedding ceremony and others he had written to help guide our decisions about what we wanted to include in our own ceremony. I cannot begin to express how helpful this little fact was while I researched different aspects of Christian and Jewish wedding ceremonies. 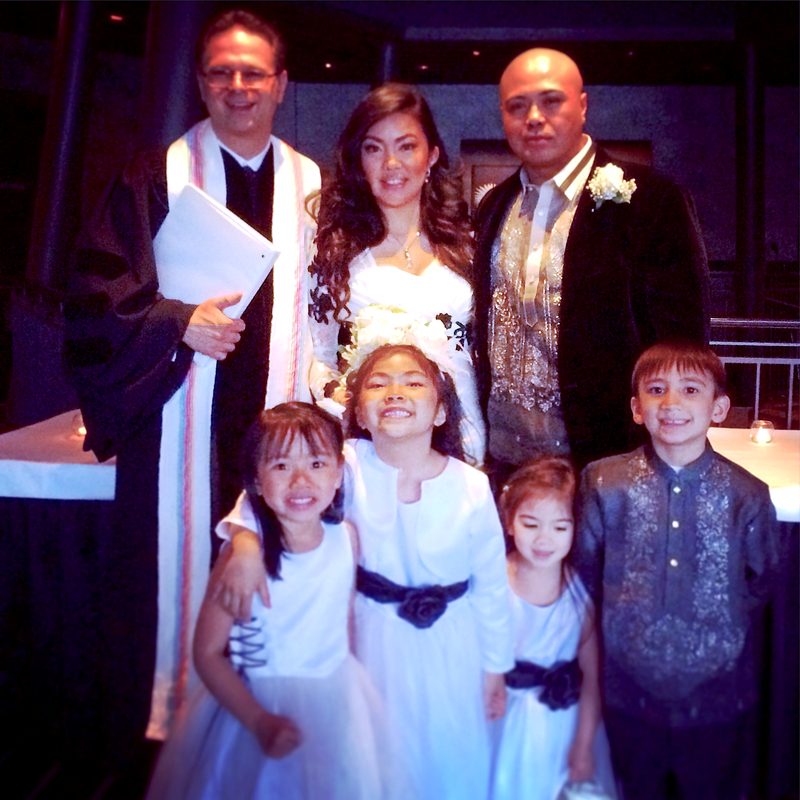 Though it was never my intention to write our ceremony, in the end, I provided Rev. Brian with a rough draft of what we wanted included in our wedding and he was humble enough to accept my writing, but assuage it to be a perfect, professionally written wedding ceremony. 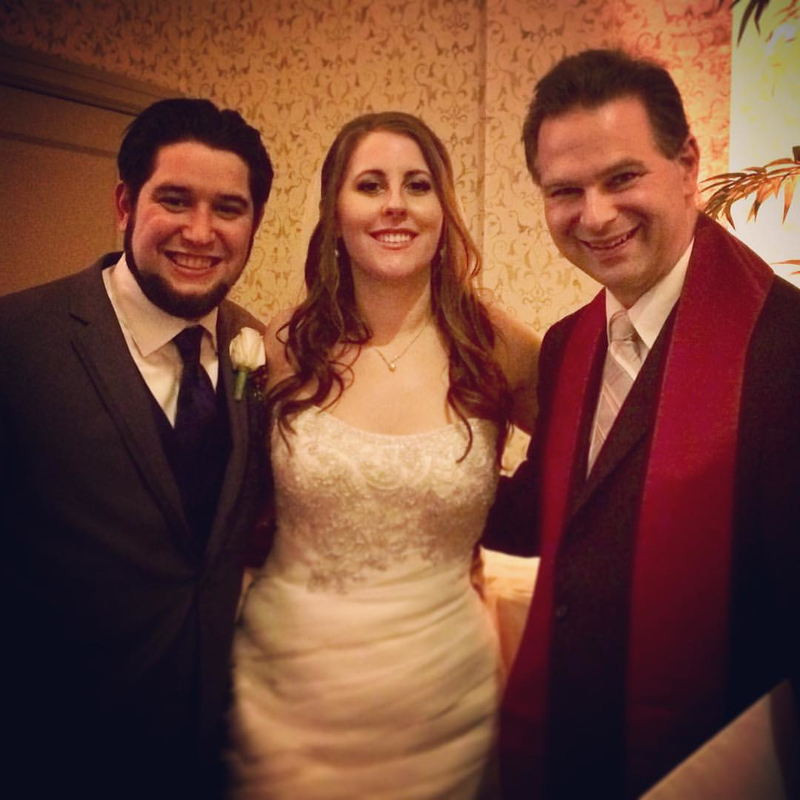 Our guests are still raving about how great our ceremony was and how amazing Rev. 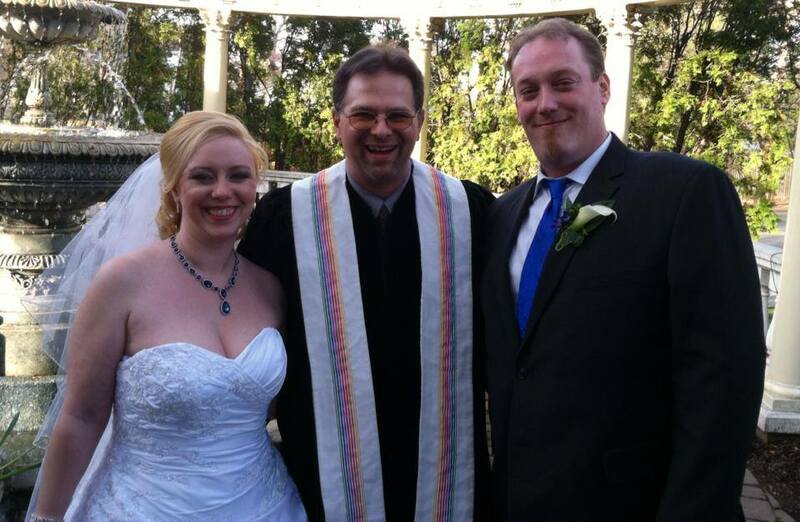 Brian was at touching on both faiths, without making the ceremony seem skewed toward one religion or the other. “I can’t say enough great things about Reverend Brian. Like most, I found him through search engines and from the bat I could tell by his articles he was better than most. What do I mean by “better than most?” Well, he caught both my fiancé and my attention in a few key parts. 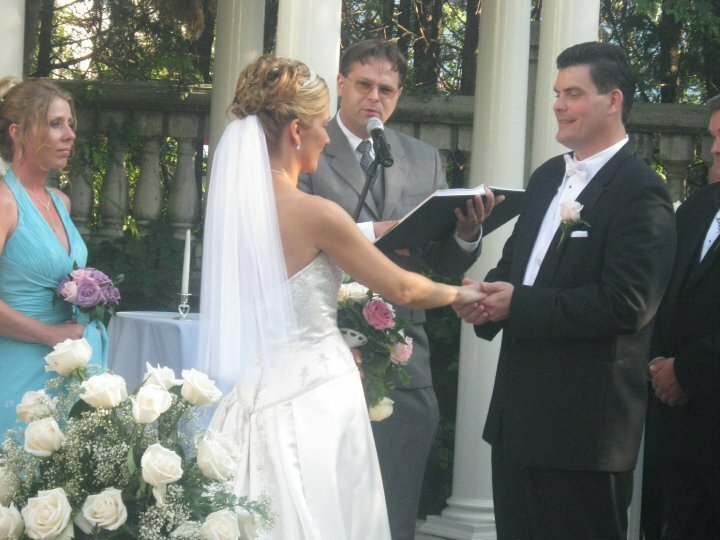 He was all about making our wedding ceremony personal, after all it was our day just like it will be your day and I can’t say enough how truly important the vows are. At the end of the day, it’s about the love between two people. Revered Brian took the time from the moment we reached out to him in order to accommodate our needs. We were fortunate to have him not only perform the ceremony but he also was able to run the wedding rehearsal for us as well the night before. I was a nervous bride but he helped keep me calm and collect and everyone else as well. He took the initiative to do the rehearsal and worked with us until everyone knew their role and their spot and place and we never felt the stress. It all went smoothly, but we know that’s because he knew what he was doing and took the time and effort to make it great. During the wedding reception he also provided a meal blessing which we loved. 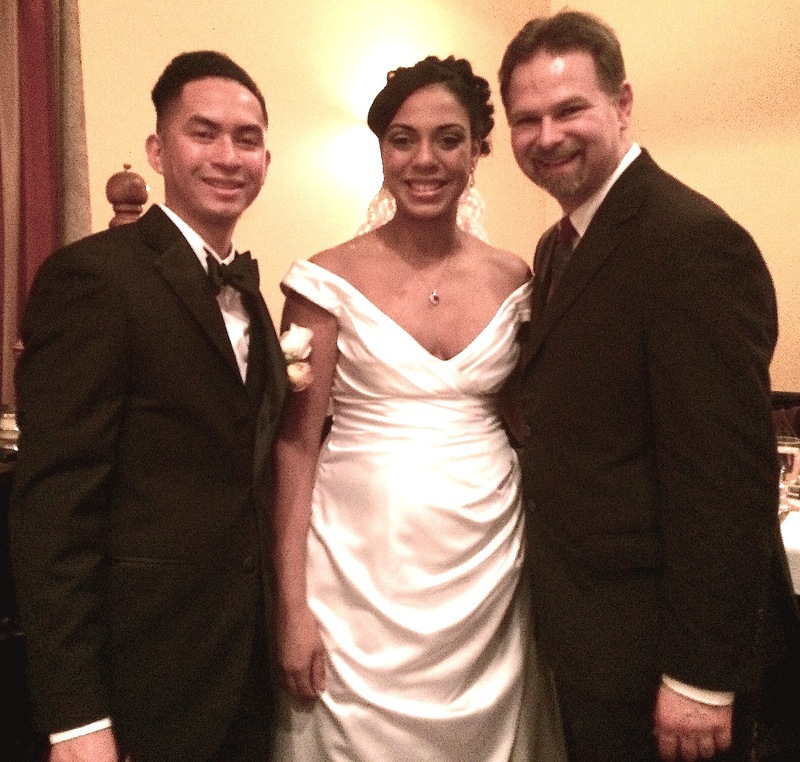 “I had the pleasure of meeting Brian through his performing of my brother’s wedding ceremony. We loved him so much we asked him to do ours. We could not have been happier. He is the sweetest man and such a professional when it comes to his work. 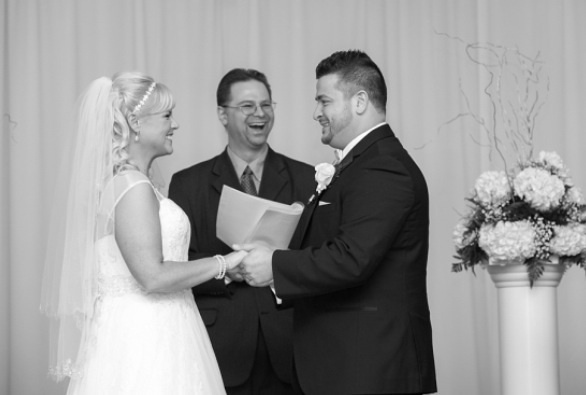 I couldn’t imagine anyone other than Brian performing our ceremony. “Thank you very much for all your help and guidance. You made things very easy for us. We loved how everything was custom and had our signature on it. We appreciated all your notes and suggestions. 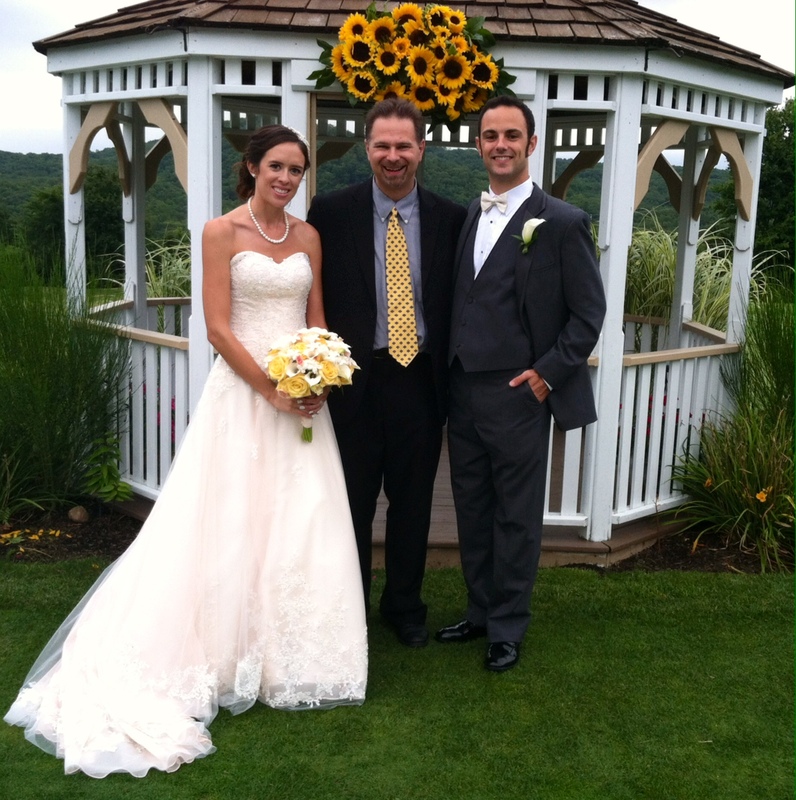 “My husband and I are very thankful that we were fortunate enough to have Brian officiate our wedding. 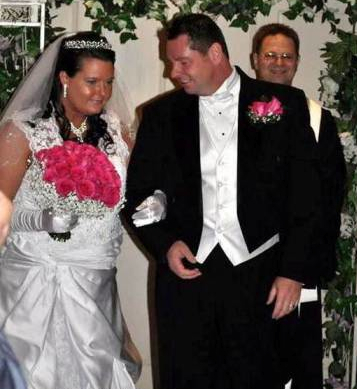 Being that this was a second marriage for both of us, my husband and I were interested in designing our own ceremony but didn’t quite know where to begin. 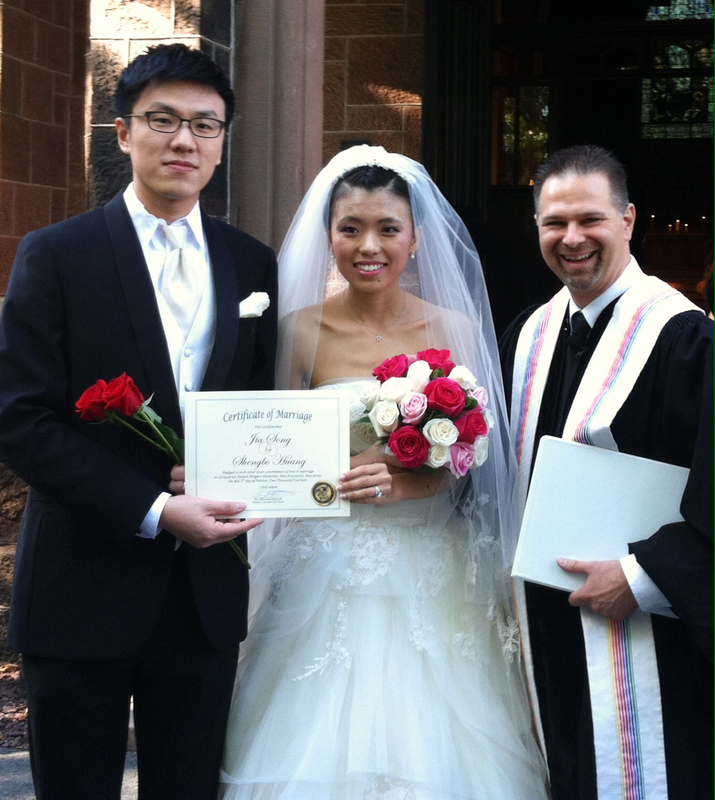 Brian assisted us in all aspects of the process, providing us with sample narrative, language, vows, readings, etc. Once we narrowed things down, he provided us with honest, valuable feedback and helped us tweak it to be exactly what we wanted. Brian also shared his vast knowledge of the legal steps necessary to make it all happen (applying for a marriage license, etc.) and was always available to offer any guidance or support in the months and weeks leading up to our day. He always responded to my emails and telephone calls in a timely manner, providing the information or reassurance I needed. Throughout the process, he took OUR lead and provided the right combination or support and guidance. On the day of our wedding, Brian was prompt, calm, organized and demonstrated what a true professional he is. I felt at ease knowing that Brian was ‘in charge’ and ready to do his part to make our wedding ceremony as perfect as it was. It was clear that he’d come prepared… he spoke clearly, slowly and with commitment and confidence. 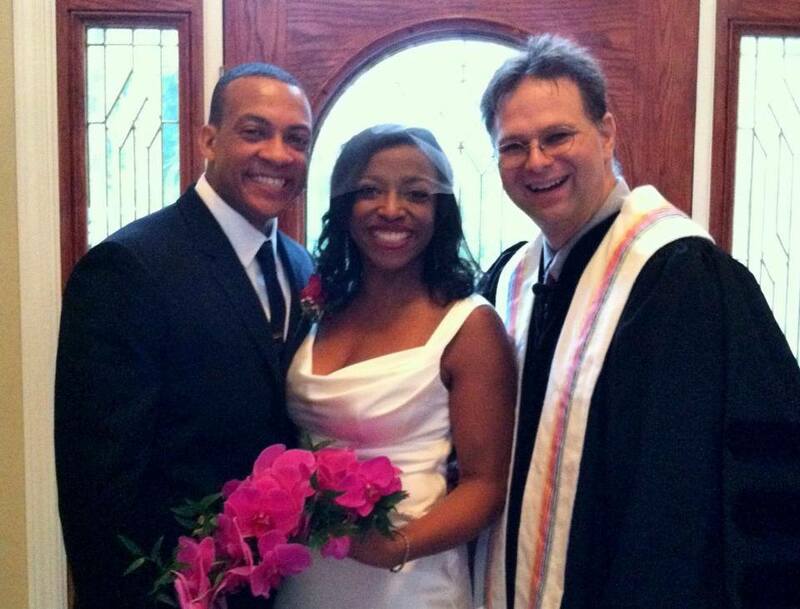 “We knew Rev Brian was the perfect match for us the minute we met him! He made our ceremony everything we wanted it to be and more. He felt like part of our family, and has become a friend. “Couldn’t say enough good things about Rev. Brian. He went far & beyond to make things beautiful for our special day. 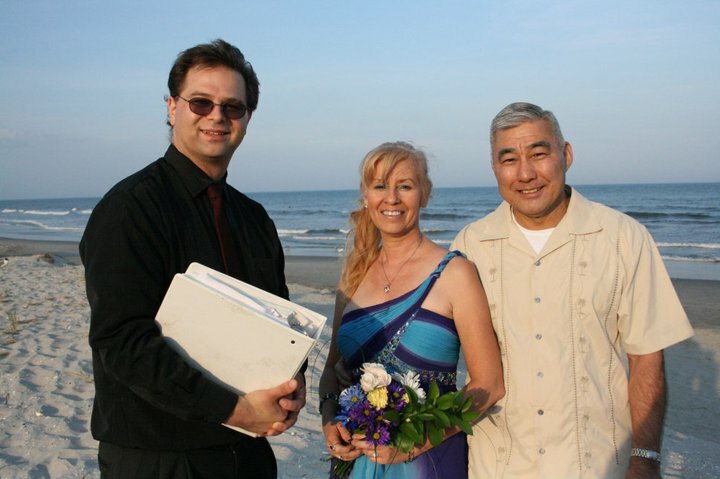 I (the bride) was living in California at the time, and Grant (now my husband) was working in Osaka Japan, when we planned our family vacation in Wildwood NJ. 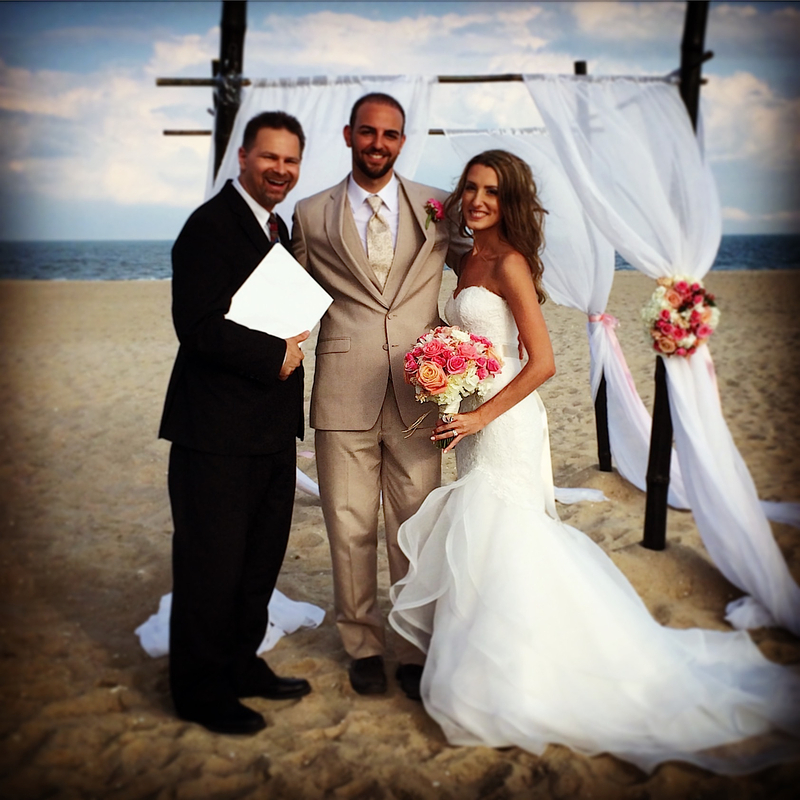 We decided to have a simple Beach wedding since we would have our kids & grandkids all together. Looked up ministers in NJ area online. And after speaking to a few on the phone, I knew immediately Rev Brian was the one. After emails & phone calls, we all met in Wildwood. Rev. Brian had all we needed as far as paper work for us, and had even arrived early & searched for the perfect spot on the beach to hold our ceremony. He knew we had never been to NJ and took it upon himself to go out of his way to help set things up for us before and even after our wedding. 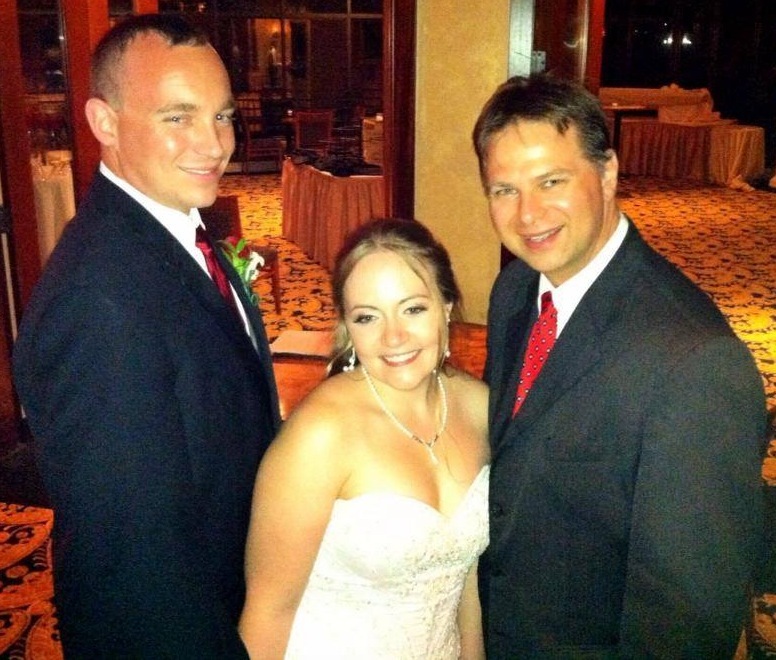 “Brian did such an awesome job with our ceremony – making it laid back and fun just like us – it was PERFECT!!!!!!!!!!!!!!!!!!! 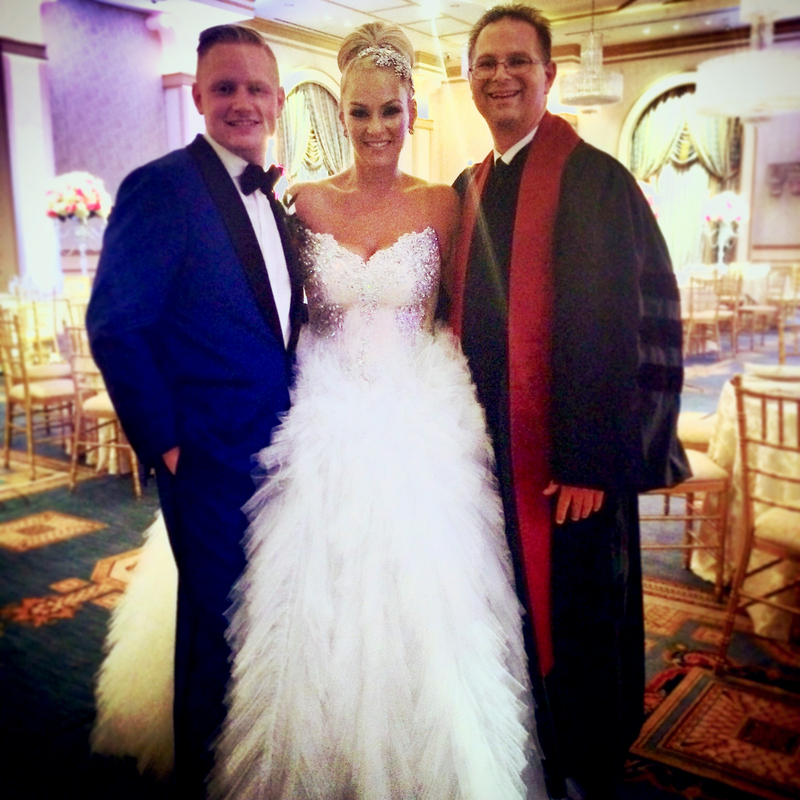 “Brian is a wonderful person and I couldn’t have had a better minister for my wedding. 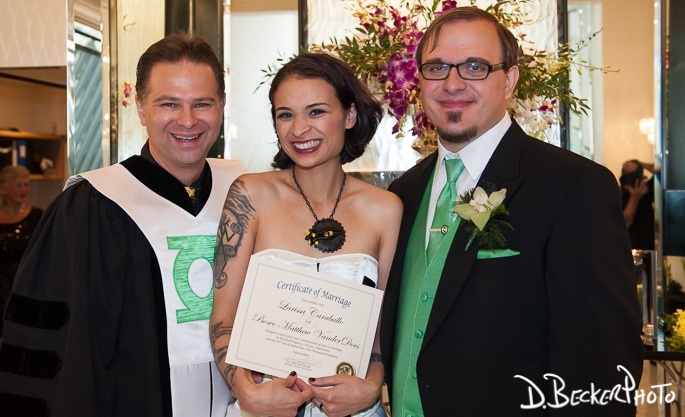 I was completely happy with my ceremony and wouldn’t have wanted it any other way. 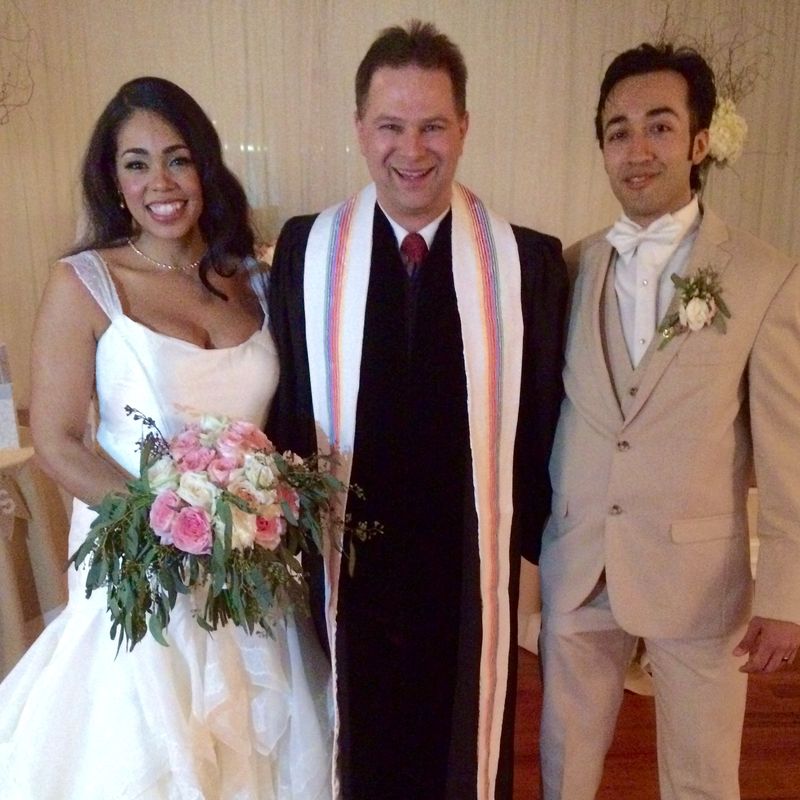 “Brian did a fantastic job performing our wedding/civil union service. 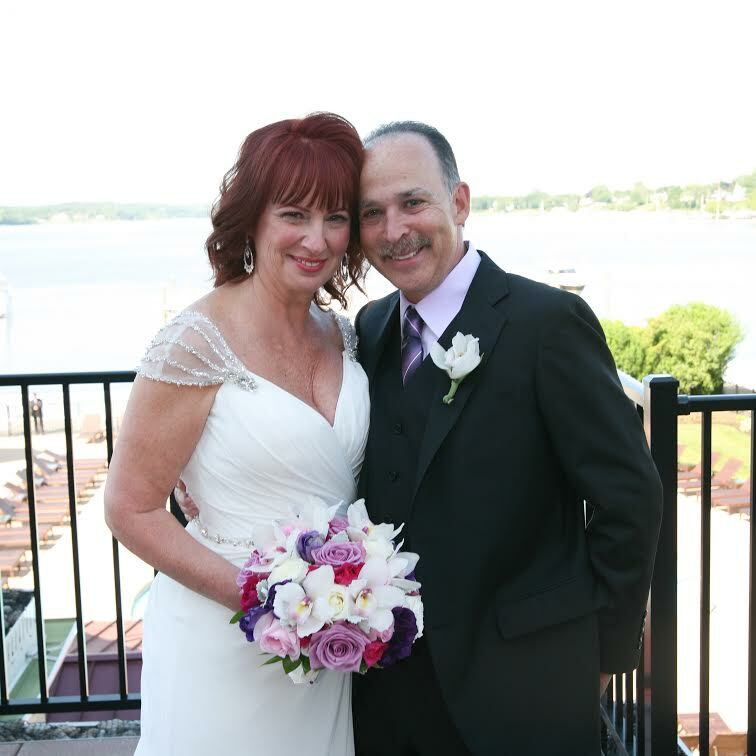 It was the first year that Civil Unions were legally recognized in the state of NJ and he was happy to provide his services to us.